When the ball really got rolling on hyping up Ridley Scott’s Prometheus follow-up, Alien: Covenant, it was all about Michael Fassbender’s David, with the other surviving member, and main character, of the original movie, Noomi Repace, no where to be found. Considering her importance in the first movie, we all assumed she would once again be stepping into the space boots of Elisabeth Shaw, but as time wore on, new cast members such as Katherine Waterson and Danny McBride were announced, and we eventually got word that Shaw would indeed not be appearing, presumably going the way of Newt and Hicks in Alien 3, dead before the opening credits roll. But now, as per Deadline, it turns out there is room for her after all, with the news site reporting that Repace is currently on set in Australia to shoot ‘weeks worth of scenes’. It’s all a bit confusing, and I can’t help but winder if this was planned all along, or a change brought along by last minute rewrites. There’s no word on what these scenes will entail. 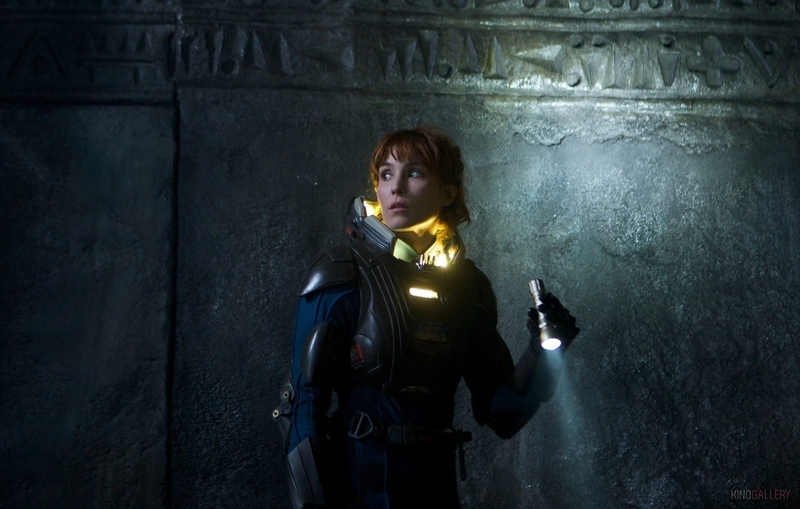 The official synopsis makes it very clear that Davind is the only surviving of the Prometheus expedition at the start of Covenant, so it might very well be a flashback sequence to fill in the gaps between both movies, as a way to explain her absence from the main story. It’s anyone’s guess at this point really, but no doubt all will become clear in the coming months. Alien: Covenant is set for release August 4th 2017.